Beijing-based Air China (CA) launched its first live trial of Gogo’s inflight entertainment system and intra-cabin connection service on a Boeing 737-800 Beijing-Chengdu route Tuesday, becoming the first Chinese airline to provide passengers with free inflight entertainment. CA said it would continue the trial flights through Dec. 31 and plans to promote this service on its Airbus A321 Beijing-Shanghai route soon. 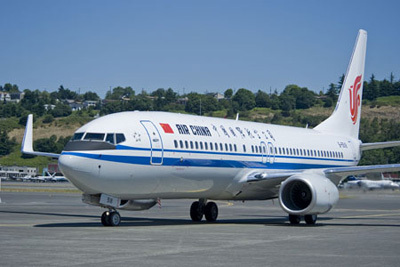 CA also teamed with state-run telecom carrier China Telecom to explore the possibility of allowing use cell phones and Internet service on its aircraft. The company’s goal is to provide broadband Internet access on all flights, which is expected to take place early next year. Hainan Airlines and Shenzhen Airlines also plan to provide Internet service on domestic flights but have not yet received CAAC approval, citing safety concerns.